Tridan International has been providing quality coil expansion and fin production machines to the HVAC and other industries since 1966. In addition, our machines are known to last because they are built with durable parts and craftsmanship. But, we are aware that parts can eventually wear down. That is why our Service center is always ready to help whenever you need it. If you are in need of a new expander rod, bending die assembly, pierce punch or other parts we can help you with that. Craig Edwards, our parts and service manager, has extensive experience with all our machines. 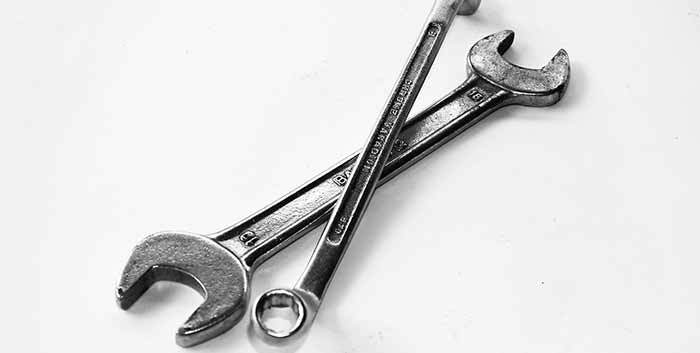 The service staff can help you find the exact piece you need to repair your machine. Looking for on-site service? If you are not quite sure what is wrong with your machine, contact Tridan today. We can help diagnose what is wrong with your machine and schedule a maintenance session at your facility. Make sure to book an appointment with our service center here. Of course, if you are in the market for a new machine, we can help with that as well. With Fin Production machines, Coil Expander Machines and Tube Production machines we have what you are looking for. We also carry lubricants you need to keep your machine running smooth and efficient. Our lubricants are designed for use in the HVAC industry for evaporators and condensers. Do you need a special design for your machine? At Tridan, we have specially designed machines to fit the needs of certain clients. We can build exactly what you need. Finally, give us a call today at 217-443-3592 or contact us today for the service you need for your Tridan Machine. Also, we here at Tridan International would like to wish you and your family a safe and Happy Holiday! Everyone takes their car or truck in every 3000 to 5000 miles for a routine oil change or maintenance. Most of us see a doctor once a year for a physical or check up. Also, you may have your teeth cleaned and checked on once a year. So when it comes to your Tridan equipment at your business, does it not make sense to have it checked or repaired? Any type of mechanical machine can suffer a breakdown. It is natural for parts to wear our and need repair. At Tridan International, we provide parts and service for our equipment. In addition, Tridan offers various services ranging from rebuilds, on site repair, maintenance and machine health assessments. Our experts can have your machine up and running in no time! When you purchase Tridan equipment, you can rest assured that you are getting one of the best industry-leading equipment around. But even the best equipment needs tender love and care. By providing routine maintenance to your equipment you can keep your equipment running at full capacity for years to come. Our parts and service manager Craig Edwards can answer any questions you might have about your equipment. You can call 217-554-7532 if you have any questions about parts or service. Also, you can fill out our service and repair form so we can help you with your repairs. At Tridan International, we strive to provide the best parts and service for all our clients. We want to maintain excellent customer service while helping you maintain your Tridan equipment. Since 1966 we have been dedicated to providing coil manufacturers durable machinery solutions. Contact Tridan today to inquire how we can help keep your machines in top working condition. Also, visit us on Facebook for more information about Tridan Products!